Soft, flowing drapes in cotton and silk, elegance, heritage, tradition…all woven in one fabric. Yes, I mean the beautiful Maheshwaris from Madhya Pradesh. Most of my basic knowledge of sarees and weaves (in addition to their history) comes from my mother. If memory serves me right and seems like it does, she has always had a gorgeous collection of handwoven sarees from all over India. It is said that Rani Ahilyabai Holkar built the city of Maheshwar. Additionally, she helped weavers from Surat settle in the place and trusted them with the task of weaving saris for the royals. A lot is owed to her when it comes to this beautiful weave, complete with geometric patterns that were inspired by the ornate decorations of the fort of Maheshwar, apparently. 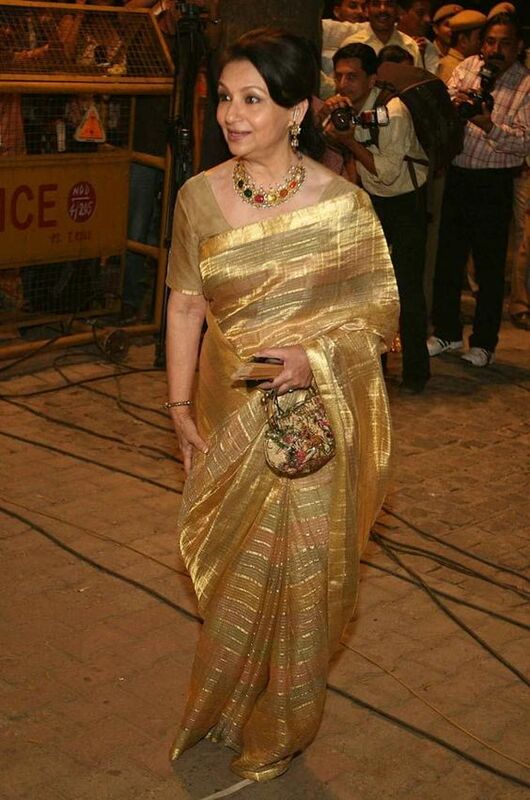 In fact, she was the one who was responsible for weaving a 300 count saree way back in the 18th century. Sadly today, there is not a single loom in use for a pure cotton saree. This is precisely the reason why we must do what we can to help the weavers of this precious weave. Rani Ahilyabai Holkar’s memory is being carried on by the heritage hotel of the Holkar family. 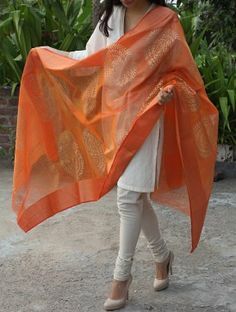 They are instrumental in reviving the dying art form of weaving Maheshwari sarees via the Rehwa society, that produces very high quality Maheshwari fabrics. Designers Kavita Sanghi and Neeta Somani of Khoj have worked extensively to reinstate the Maheshwaris to their earlier glory. They have experimented with prints, in addition to going beyond the saree and introducing the lovely weave to salwar-kameez and scarves. You can shop the collection available at Avishya here. Read more about their journey here. 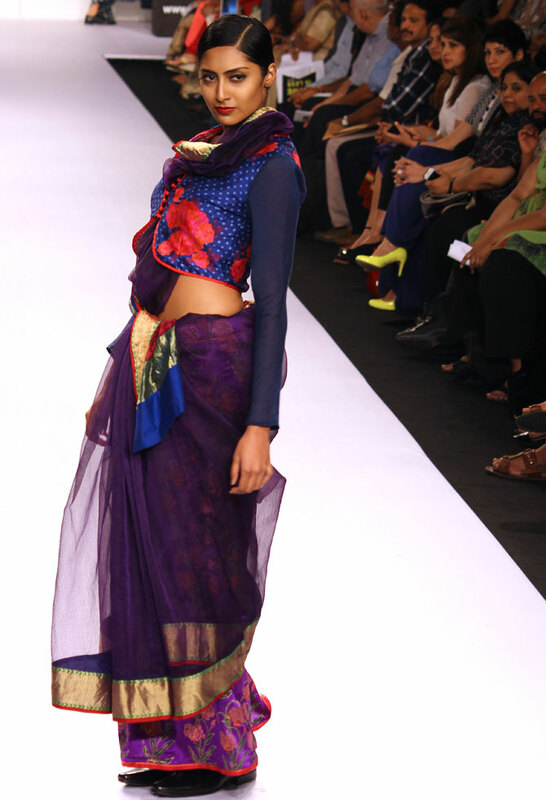 Designer Krishna Mehta had an entire collection in LFW 2014 dedicated and inspired by the traditional weaves of Maheshwari. Here are some of of our picks to get you inspired and lured into shopping the beautiful weave for your collection. Beauty and elegance in the soft drapes, isn’t it? Since the festive season is round the corner giving us plenty of opportunities to dress up – go ahead and drape a beautiful maheshwari! 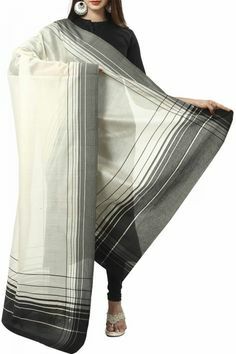 Very nice designs.Specially Saree designs.